Pastoral Councils are based on the recognition of the dignity of every member of the Church, and a realization of the rightful role that all the people of God play in the life of the Church. Since the parish is a local manifestation of Christ’s Church, the Pastoral Council carries out its efforts in relationship to the Universal Church and the entire Diocesan community, within its particular, unique neighborhood setting. Council members are parishioners called upon to exercise the ministry of leadership in the parish-young and old, long-standing and newly arrived. They are called upon to merge their commitment and conviction, their insights and experiences, in the ministry of service under the discipline of God’s Word and the inspiration of God’s Spirit. The Council commits itself in its responsibility to giving leadership through service. The Council is an attempt to get beyond interest and concern of the few. Council members are asked to expand the view, the understanding and sensitivity of the Pastor and the Parish staff. Further, they are expected to represent a broad spectrum of parishioner opinion. The Pastoral Council meets six times yearly: September, November, January, March, May and June, on the second Wednesday of the month. The Pastoral Council invites any eager, curious, enthusiastic and/or interested parishioners to join. No experience or qualifications are necessary. As you hopefully are aware, the Liverpool area parishes of Pope John the XXIII, Christ the King and the linked parishes of St. Joseph the Worker and Immaculate Heart of Mary have come together, guided by the Diocese of Syracuse, into the Liverpool Pastoral Care Area or PCA. Representatives from each pastoral unit, along with the three pastors, have started working together to develop plans and goals for increased communications among the parishes and to identify areas where the local community can be better served through collaboration and teamwork. 1. 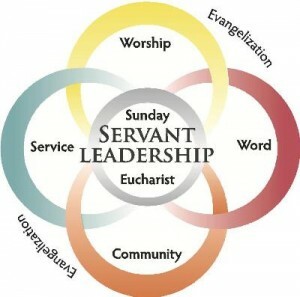 Evangelization – working together to better engage current parishioners and energizing the faithful to help bring the Good News of Jesus Christ to others in our community. 2. Faith Formation – the Directors of Religious Education and those responsible for Forming youth and adult Catholics working more closely to provide faith-building Programs and opportunities in our community. 3. Community building – building a common bond among the four parishes by sharing events and liturgical opportunities as well as making each other aware of the traditions and significant events that flavor each parish’s rich history and contributions. Developing a communication plan to help keep all parishioners informed is the first order of the CCC’s business so please watch your bulletin and follow your parish’s online and social media efforts to stay in touch.